The ferry in Puerto Rico is a cargo ferry which is not really intended for passenger use. If you are traveling with a vehicle on-board you should have no issue getting on. The problem is the boat doesn’t offer much cover from adverse weather like sun or extreme heat. So, prepare accordingly. 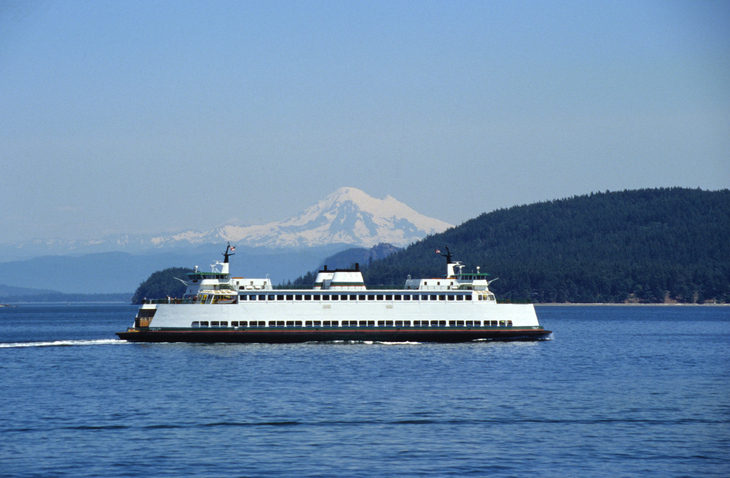 You MUST make a reservation ahead of time to get a spot on one of these ferries as well. It is nearly impossible to do so online or in person. So, unfortunately, you will need to drive to the Ferry location before you plan on leaving and make a reservation in-person. We recommend you do this at least a week in advance. The only issue with these reservations is that they are not ironclad. This basically means if a cargo truck needs to take your spot on the ferry, you will get bumped, possibly to the next day. In the end, its just the luck of the draw. This is the only way for you to get your car to these islands unless you can find an auto transport company that can ship your car to these places. So far, we have not heard of such a company. Also, then you would need to take a flight yourself to the island. Also, the ferries don’t always stay on schedule. They depart when they are filled. This includes if they fill early. So, be sure you get there earlier than you might expect to need to. The two places that people in Puerto Rico travel to with their cars via ferry are Culebra and Vieques. These are both wonderful places to visit as they are both incredibly beautiful. However, be careful about what types of vehicles you travel there with. Some of the roads are unpaved, bumpy and dirty. A Jeep would be fine driving on these roads whereas a really nice luxury car might not be. These ferries leave several times a day, seven days a week. The issue is that the schedule changes quite frequently. If the ferry is gets filled, even if you have a reservation it will leave. So, be sure you get there early. These ferries all depart several times a day any where from 4 AM to 9:30 PM. The best idea is to arrive early in the morning and expect to wait up to a couple of hours. It is unfortunate, but that is they way it is right now. Also, please take note of the fact that Roosevelt Roads in Ceiba is where the ferries depart from now. They used to depart from Fajardo but that is no longer the case. Unfortunately, most rental companies will not permit you to take a rental car onto the Ferry. If you do anyway and damage occurs to the rental car while it is on the ship or the island you traveled to, you will void the rental agreement and be responsible for paying for a hundred percent of the damage yourself. It can’t hurt to ask your rental company if they allow people to travel on the ferry with their cars, but the answer is likely no. That is another reason to ship your car to Puerto Rico with Puerto Rico Car Transport. You can ferry your way to the best and most attractive islands in Puerto Rico. However, it will be a complicated experience to say the least. Plan ahead to avoid unnecessary delays and problems. Regardless, if you are on your way to Puerto Rico and need your car shipped there, the car shipping professionals at Puerto Rico Car Transport can help.